Launching and running a product based fashion brand more often than not revolves around the creation of collections. The quality of these collections and the consistency of that quality and presentation, is often what sets successful brands from the rest. It is also what businesses are, rightly or wrongly, judged on. “You are only as good as your last collection” is something we often hear in the industry. Don’t get hung up on this. 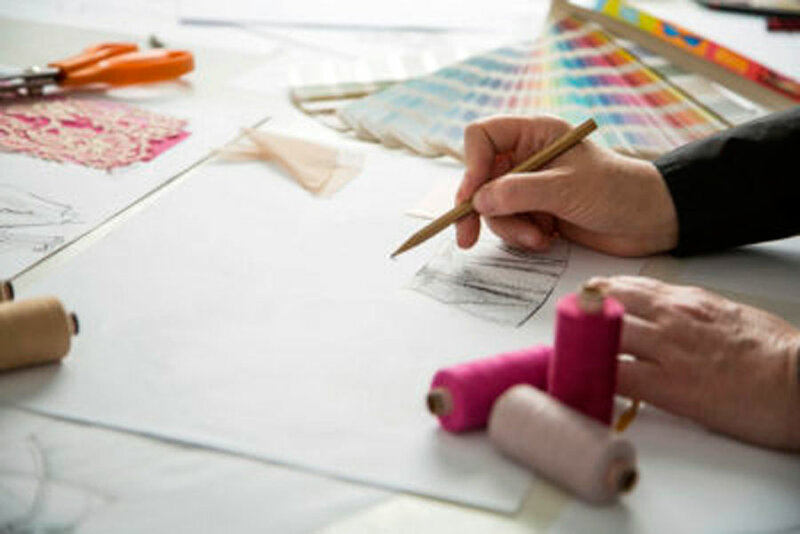 The fashion industry is famously fickle, biased and often trend-driven, so it is vital to know how to design a commercially strong fashion collection that is cohesive and makes sense to the buyers. At the end you will find a to-do list to create a strong fashion collection. What does commercially strong fashion collection mean? A commercially strong fashion collection essential regardless if you are selling direct to consumer, in person, in your own retail store, on your website, online platform like Etsy, or to wholesalers who are reselling in their stores. So let’s jump in and see what creating a commercially strong fashion collection that actually sells, looks like. A good, commercially successful collection is one that tells a story through product; where all the pieces work well together and merchandise easily. One of the main elements a good collection must have is a signature style that though it may evolve over time, it should be from the start consistently present and recognizable. Your signature style is what will set you apart from other designers and make you instantly recognizable. It can be based on one or more of the following: certain use of colour, shapes, patterns ( e.g. Missoni’s stripes; Burberry’s check), techniques (e.g. Bottega Veneta intrecciato), stones, motifs or particular use of materials (Alexis Bittar’s use of Lucite). How you use these signature elements in the process of telling a story through product is what creates your design aesthetic. Pro tip: Finding, defining and fine-tuning your signature design style is imperative. It will allow you to interpret common and often coincidently shared influences in your own unique way. It would make you stand out in today’s over-saturated and competitive market and help you strengthen the value of your brand. We often think of designer collections as a selection of curated series of pieces that can be worn together. However, many designers also have collections revolving around a single product that sells in multiple colourways and/or sizes (e.g Lang champ famous nylon bag collection). So before you start, consider what “type” of designer you are and/or what “type” of business you want to have. It is quite common to start with a single product type business and over time add to it and expand it to a full multi-item collection business. It is less often seen and traditional to do it the other way around though. A statement piece or a central piece, but there is a common thread that ties all the pieces within the collection together. A main design influence/inspiration/theme/material that is the design thread holding the collection together. When developing your collection, it is best to aim to have a minimum of 12 pieces/looks. If your budget allows, it would be great of you can have more than 12 pieces of course, as a larger collection will allow for better exposure and versatility throughout the collection. However, be mindful of the fact that depending on the product category you are in, this may translate into more individual pieces (e.g if you are an apparel designer working on 12 looks, this potentially can mean at least double the number of individual items e.g. top and bottom, so two items per look). Once you have worked out your basic looks/items within the collection, you need to think of colour options. Would your designs be sold in a single colour choice or would you offer extra colourways to buyers? If you do, how many should you offer? Size is another important element to consider but as it doesn’t impact the presentation of a collection, we won’t discuss it at this point. What often happens here that leads to disastrous consequences, later on, is this: younger and less experienced designers, in their quest to be noticed and have successful launch talk to other designers to get feedback on optimum collection size. They look at perhaps style.com and count the looks and colourways offered by bigger brands they aspire to be like, completely forgetting to consider the small detail that everyone they talk to and look at is at a different stage of their business cycle. If that sounds like you, stop now! Don’t compare yourself to others; stay in your own lane. 4) Why more is not necessarily better? Well developed collections that sell can have anything from 12 to 100+ designs depending on the brand. Add to this colour options on offer, sizes and materials and the production minimums raw material suppliers and manufacturers require and the finance needed to fund it all. At best you are looking at a manufacturing and logistics recipe for disaster. And let’s not forget that unless this huge offering is extremely well curated, executed and presented, a buyer will look at the overwhelming choice as a sign of a weak designer and poor decision making. How to decide on the quantity of your product idea? On the other hand, a single item/product designers typically design collections that contain a single item that is showcased in multiple colourways and /or sizes. For instance, you might have a bag design that comes in 12 different colours. How do you decide what this item is? Well, some start small selling a single item in single size/colour/material and with gradual success expand on this idea. Others may think they have an amazing idea worth investing in and go for it. Finally, you may be a One of a Kind type of designer and create a collection consisting of individual one-of-a-kind pieces. Here is a good example when the size of the collection may be much larger than the above examples due to the fact that usually these pieces are sold as seen and do not go into production. Often they are limited in colour choices and sizes. In other words, being a one of a kind designer brand is a business where you rely on selling an inventory of stock already created upfront. Whereas the more established route to market is creating a sample collection from which orders are taken and fulfilled at a later date. All the above types are commercially viable and there are many examples of designers that present such collections. Designing a commercially successful collection is not a melee of all the things you would like to wear/have yourself or your friends. But sadly this often is the case. The Statement Piece/Press Communicator: Statement pieces should be bold and eye-catching. They could be a one-off piece that never makes it to production or you make a very small run. This is a piece that grabs the attention of the press, the buyers, and your clients. A piece that has the WOW factor, that people talk about and that draws attention to your brand, and gets people through the door. This often can be your most expensive piece in the collection. You don’t have to have many statement pieces. One or two per collection is enough. The Gateway Piece/Bestseller: These are the pieces in your collection that you sell the most of (or, if you are designing your first collection, that you think you will sell most of, based on research of your target audience). Designs that showcase your signature style and hold the collection together. This would be the bulk of what a buyer will spend time on looking at and selecting from. These pieces usually fall right in the middle of your collection’s price range. The Up-Sell/Add-On Piece: These pieces are usually entry price point products that allow a new buyer to your collection to enter into your brand world. They are products that are priced at the bottom of your price structure and are easy to by as gifts, be an impulse buy or last minute add on to your already selected purchases. Regardless if you are a collection or item designer, you can use all of these elements as you develop your collection. Should you have more variety or quantity? Another aspect to consider is the size of your collection versus the variety/choice of styles offered. It is not enough to just tick the boxes of X styles, statement piece, best seller, add-on, etc. You also need to think if within your main bulk of the collection you are offering enough versatility of styles for the buyer to be able to select from and build a commercially viable collection to sell on and that best represent you as a brand. In plain English, this means that if you are designing clothes lets say for Autumn/Winter season presentation, make sure you have as much as possible of the following: a coat (long or short or both), trousers, skirt, dress, blouse/top with long sleeve, short sleeve (maybe both), etc. Don’t forget that the variety of design details will put the products in either mid or entry price range, which is great and what you want. You don’t have to cover each style in every price range, but its best to have the representation in general. Perceived value is the difference between the amount your customers are willing to pay for your products and the actual price of your product. extra special details like packaging, thank you note, etc. additional value adders like your story, the process, etc. So when you are designing and setting up your business, it is worth thinking about what you can do to add to your line/business that increases the perceived value? What can you do to add even more? When you have designed your collection try to merchandise it into looks and think as a buyer. How would a buyer buy your collection and how would they merchandise it in their store? How many pieces should they buy at a minimum to be able to represent you best as a designer? Different shops have different aesthetics. Play around with your collection and imagine how different shops will buy. In the process, you may see if you are missing anything or have too much of something. Adjust accordingly. Work out what defines your signature style? What sets your design aesthetic apart from your peers and competitors? Am I designing a collection, items or OOAK? Are there enough or too many units? Is the perceived value in alignment with your price-points? Does my collection merchandise well and tell a story? Does your collection have a Statement Piece, Gateway Piece, Add-On Piece? What can be added/taken away to make the collection more cohesive? How is the collection being packaged? Does my packaging add or takeaway value? Do you have any great insights on how to create a strong fashion collection? We’d love to hear from you. Let us know in the comments below. Thank you so very much for this great information, it will sure help putting my collection together.